Nintendo's "Pikmin" video game franchise, about an astronaut (or two or few) crash landing on a foreign, flora and fauna filled planet, is both adorable and starkly survivalistic. The pikmin, little plant-like creatures that help the astronauts, are varied in color and skill, but I chose to focus on the original three, red, blue, and yellow. Pikmin are enthusiastic and determined, but can also be fragile and very vulnerable depending on the situation (like, Smalls wanted to play and accidentally drowned almost all of my little pikmins!). 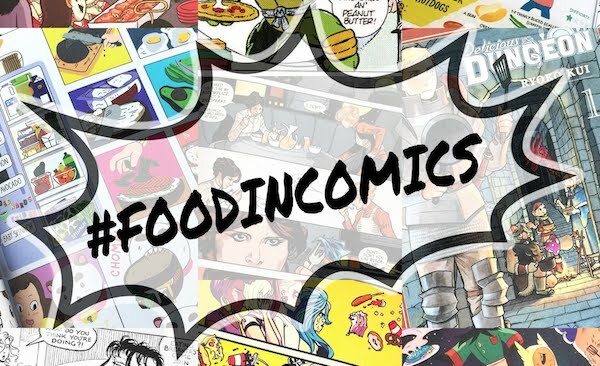 They also make a tasty meal for the various predators found on the planet. 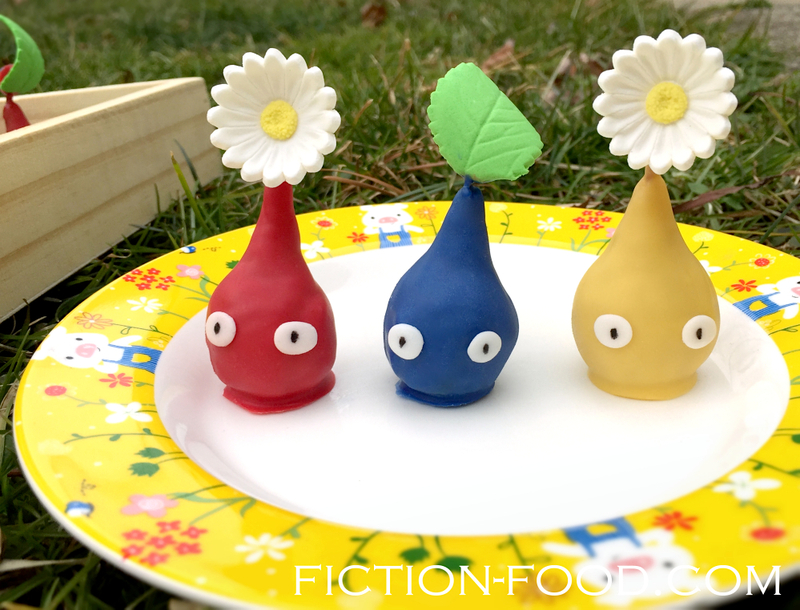 Now you can enter the fictional food chain by making your own little pikmin treats! Check out the latest in the "Pikmin" series, "Pikmin 3"! Nintendo also has three short "Pikmin" films available for download. Note: In the games the red pikmin have pointy noses, the yellow pikmin have pointy ears, & the blue pikmin have little mouths, pointed at the top. 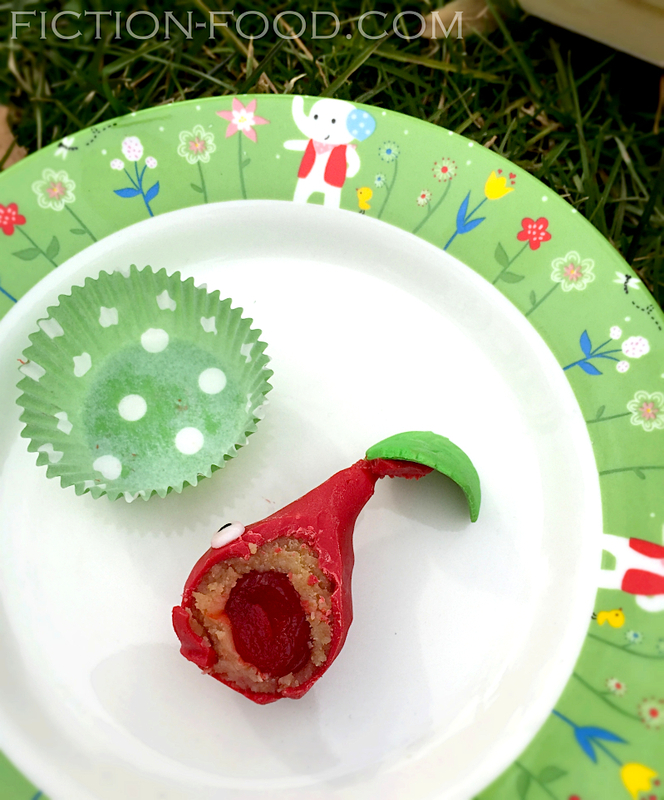 To make pointy noses on these treats, use slivered almond pieces, and for pointy ears, use sliced almond pieces, pressing them into the cake mixture around the cherries before coating them with candy melt. 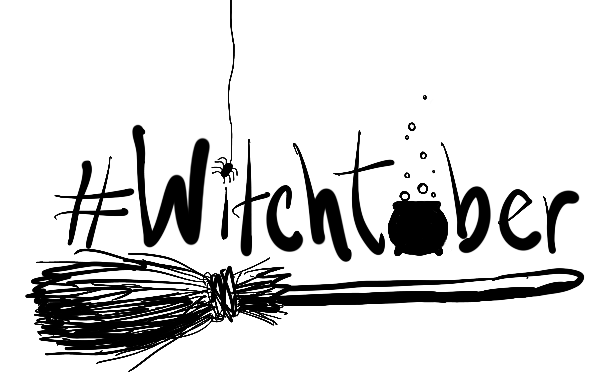 For the little mouth, use a black food color marker or a tiny bit of red melt on a toothpick. I meant to do this (ears, nose, mouth) but forgot! Yoops! I'll need to make some more sometime & take more photos. 1. Remove the cherries from the jar & pat them with paper towels to remove the juice. Set aside until ready to use. In a medium bowl, crumb the cake into fine crumbs (rubbing cake pieces against each other &/or simply using your hands) & then stir in enough cream cheese to make a clay-like mixture (start with 2 Tbsp & add a bit more as needed). 2. Take about 1 teaspoon or so of the cake mixture, flatten it, & then wrap it around one of the cherries, round around the cherry part, with a flat bottom (so it can stand up), & tapering it partway up around the stem. Wrap each cherry this way until you run out of cake mixture (it can be tedious, so sit down & watch a TV show or something while you're doing it!). 3. In three, separate, small microwavable dishes, melt each candy melt color with a couple teaspoons of EZ-Thin in the microwave at 30 second intervals until fully melted & smooth (stir in more EZ-Thin if the melt is not smooth and dip-able enough). If you'd like to flavor the candy melts (optional), stir 1 drop of cherry flavoring oil into each color. Dip each cake mixture covered cherry into a candy melt color, spooning the melt over the cherries so they are fully & smoothly coated. Place the coated cherries on the waxed or parchment paper to harden (this will only take a few minutes). 4. Lay the coated cherries on their sides so their stems are laying on the parchment. Using a toothpick dipped in the corresponding color of candy melt, affix 1 daisy or 1 leaf to each coated cherry, about 1/4" or so up the stem. If the flower or leaf is up too far on the stem it will flop. Because the leaves are curly, it's easiest to lay them upside down & put the stem & melt on top of it so it can lie flat to solidify. 5. Using a tiny circle cutter or simply balling up a tiny bit of fondant, make flat little eye whites fro the white fondant. They should be slightly oval. Affix them onto the cherries with a tiny bit of water. Let sit to dry for a minute & then use the black food color marker & carefully draw on little black pupils (make yours rounder than mine). 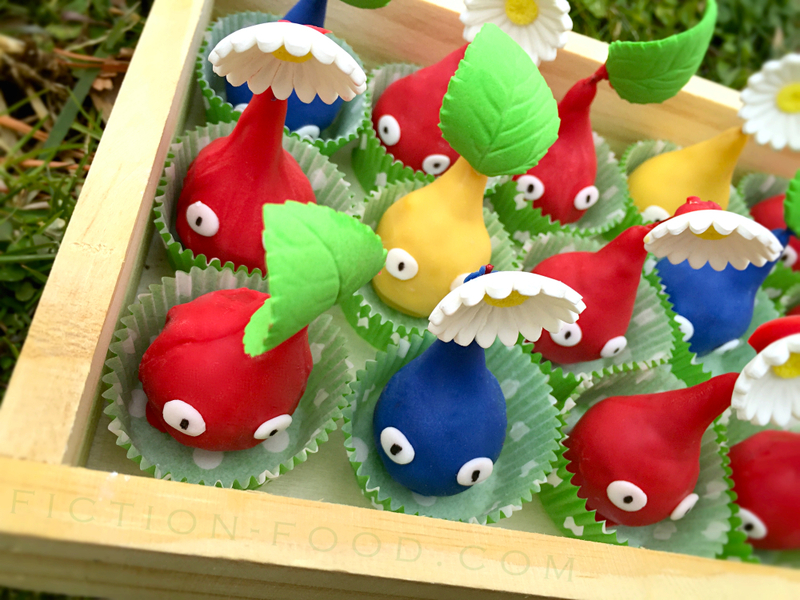 Gently place the completed pikmin cherries into the little green paper cups & gift to your friends! To store, put in a breathable container & leave on the counter (no airtight, no fridge). OMG!!!! I love Pikman!! This is soo cute and simple to do, I love it! !